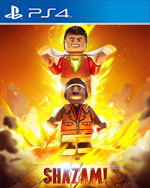 Downloadable ContentThis content requires the base game LEGO DC Super-Villains in order to play. Control your favorite characters based on the Shazam! film. Play as Billy Batson and Freddy Freeman to fight against the evil Dr. Sivana! Level Pack includes Shazam, Freddy Shazam, and more.